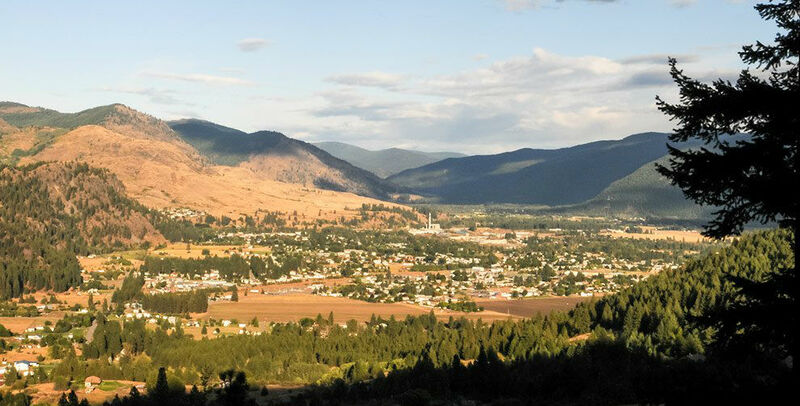 The city of Grand Forks is conveniently located just north of the US – Canada border in the West Kootenay region of B.C., at the confluence of the Granby River and Kettle River. Grand Forks is surrounded by farmland, orchards, and wildlife where residents and visitors can enjoy wine tasting, jam making and sightseeing. There is also a variety of historic and heritage sites you can visit to explore the city’s railway, mining, and Doukhobor past, such as the Heritage Courthouse and Doukhobor Village. Rocky Candy Mining is also a great activity to do with the whole family. Adults and children can experience the thrill of finding crystal treasures such as yellow barite crystals, green and purple fluorite crystals, and sparkling quartz in a wild mountain environment with a spectacular mountain top view. As Grand Forks’ natural environment is full of lakes, rivers, and mountains with plenty of sunshine and moderate temperatures, it is the perfect location for outdoor activities such as downhill and cross-country skiing, snowmobiling, mountain biking, fishing, hunting, hiking, and horseback riding. The city also has a number of recreational facilities to accommodate activities such as curling, skateboarding, baseball, tennis, and bowling. 97.4 kilometres southwest of Castlegar, British Columbia.